Syfy has announced that the popular Continuum TV series from Canada is coming to the US starting Monday, January 14th. The first season has 10 episodes and debuted north of the border back on May 27th. In August, Canada’s Showcase network renewed Continuum for a second season of 13 episodes. Syfy has licensed those as well. NEW YORK – November 12, 2012 – Joining recent original series acquisitions such as the hit Lost Girl and the upcoming Primeval: New World and Sinbad, Syfy today announced it will premiere the time traveling police drama Continuum – Canada’s highest-rated scripted basic cable series – beginning Monday, January 14 at 8PM (ET/PT). Continuum stars Rachel Nichols (Criminal Minds, Alias) as Kiera Cameron, a cop from the future who finds herself trapped in the present day. When a group of fanatical terrorists escapes their planned execution in 2077 by vaulting back in time to 2012, they inadvertently sweep along Kiera, a dedicated City Protective Services officer. With unexpected assistance from teen tech genius Alec Sadler, played by Erik Knudsen (Jericho, Scream 4), Kiera infiltrates the local police department and forms an uneasy alliance with her new partner, detective Carlos Fonnegra, portrayed by Victor Webster (Castle, Melrose Place). Though desperate to get back to her husband and son, Kiera concentrates on bringing down the terrorists before they change the course of history. The January 14 premiere of Continuum will lead into the third season premieres of Syfy’s hit series Being Human at 9PM and Lost Girl at 10PM. 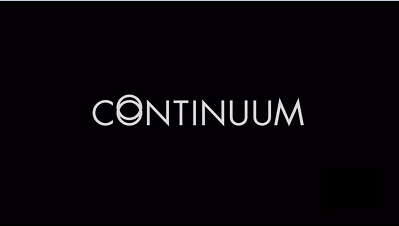 Executive producers of Continuum are Simon Barry (The Art of War), Jeff King (Stargate SG-1, White Collar), Tom Rowe (Tin Man), Pat Williams (Smallville), and Reunion Pictures. Writer: Simon Barry. Director: Jon Cassar (24, Terra Nova). In addition to the first two seasons for on-air, Syfy has also acquired the U.S. home entertainment rights to Continuum. Universal Studios Home Entertainment will handle the DVD distribution and are targeting a DVD release shortly after the season finale on Syfy. What do you think? Do you like the sound of Continuum? Do you plan on checking it out? More about: Continuum, Continuum: canceled or renewed? It debuted on 1/14/13. Season two will start airing sometime in 2014. A date has been announced yet. Great show, just caught up on all the episodes. Thank you SyFi for picking up this show. Hope to see alot more real soon. any one with a head for sci-fi and a laymans-knowledge of temporal mechanics. So get a life ,and read some books on the time space continuum. The theories are all over the internet if you do not own a nook or, some descent science fiction books on the subjects. I suggest quit gaming out and start learning about what you can not comprehend. “In addition to the first two seasons for on-air”. That certainly sounds like Syfy picked up both seasons, doesn’t it? Woohoo! WOOT! Hurray; this is the successor to BSG in terms of great sci-fi drama series. It’s that involving and good.